There is a world that is invisible to us, a world of smells. While we can observe a dog sniffing, then marking, we can’t smell or understand the odors he perceives. Dogs do not, however, use odours alone to communicate: they use facial expressions, postures and movements that we can observe, analyse and interpret. We can see and learn to understand the visual language of dogs. 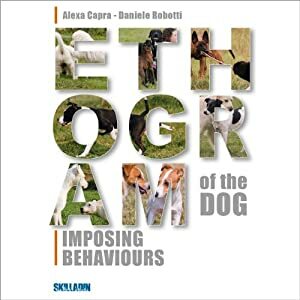 In order to learn about the communication of dogs, it’s no longer necessary to observe them for 5,000 hours, what we need is an 'ethogram'. An ethogram is a complete list of both social and non-social behaviours exhibited by a given species. An ethogram is a list of behaviours which can be likened to the vocabulary used in a foreign language. All around the globe, all dogs, of every breed, use these signals. 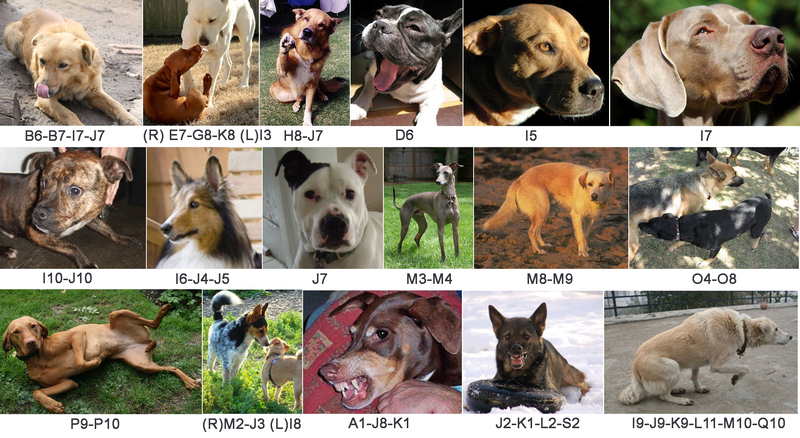 What changes is the appearance of the dogs, and while this in turn can influence their ability to communicate, the signals they use are typical of the entire species. Ethograms are the starting point for all animal studies, along with questions such as whether or not different breeds have different ethological profiles (Leyhausen, 1982), how much intra-specific variation exists and in what ways domestication has influenced and changed the behavioural repertoire used by animals in the wild (wolves). In this interaction between two females, the Staffordshire Bull Terrier and the Australian Shepherd are exhibiting the same behaviour: a swerve to the side. 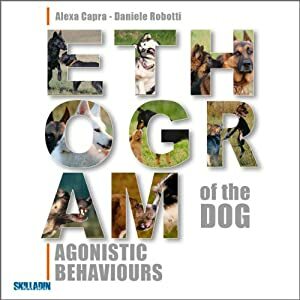 An ethogram provides a useful tool for the evaluation of dogs, in that it makes it possible to produce less subjective evaluations, and to compare evaluations based on observable and recordable behaviours. Tests such as the Ztp, CAL and DMA (Dog Mentality Assessment) were designed to evaluate and preserve the traits of working dog breeds. Throughout the world, guide dogs for the blind, assistance dogs for the disabled, sniffer dogs used to search for illegal substances, and search and rescue dogs are selected using these tests. The goal of dog shelters is to promote and preserve animal welfare. However, shelters also have the task of taking in homeless dogs, and putting them up for adoption. This requires an evaluation procedure to determine which dogs are in reality suitable for re-homing, and the characteristics of suitable adoptive families. These tests were designed to evaluate the potential level of aggressiveness in individuals judged to be at risk, above all in countries with laws restricting the possession of certain breeds.